CBOSS solutions are well suited for and used by internet service providers working in fixed line and mobile segments of the market. Fixed line internet – both phone line and cable – was historically the first target for automation. Then the era of mobile internet started. Since its inception, mobile internet has undergone great changes. Starting from GPRS, moving to CDMA and then to WCDMA and UMTS, we have gradually come to WiMax and LTE. LTE is a huge step forward in mobile network technology. 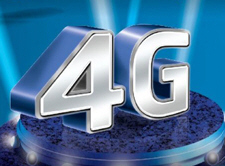 With 4G capacity and a streamlined all-IP network architecture that supports an ever-increasing variety of applications and services, LTE is to deliver great customer experience while at the same time optimizing network resources and back office systems. For telcos, LTE support requires extension of their existing network infrastructure. This is costly and makes it very important to use an effective OSS/BSS solution to boost revenue and accelerate return on investment. CBOSSconvergence WiMAX/LTE is an end-to-end system purpose-designed for control of billing, user services and access in LTE, Wi-Fi, and WiMAX networks. Unlike traditional solutions, it seamlessly integrates policy and real-time charging functions from the start and boasts a great number of value-added features. CBOSSconvergence WiMAX/LTE will reduce your operational costs and maximize revenue opportunities promised by LTE. It will be the best choice for both greenfield deployments using pre-integrated solution and large mature operators that need solutions that will seamlessly integrate with existing systems. Includes WiMAX Forum, 3GPP, 3GPP2, IETF, and OMA to ensure a high-performance, universally compatible solution. Extends beyond support for LTE networks to include multiple next-generation networks, such as WiMAX, WLAN, WCDMA, GPRS, EVDO and more, without additional core components. CBOSSics empowers customers to self activate and manage their accounts online on their own, with the ability to purchase and bundle services, top up and pay invoices, view transactions and more.